If you have any questions or want to enquire about dates, use our form to contact Florence Pallardy or see their website for more information. 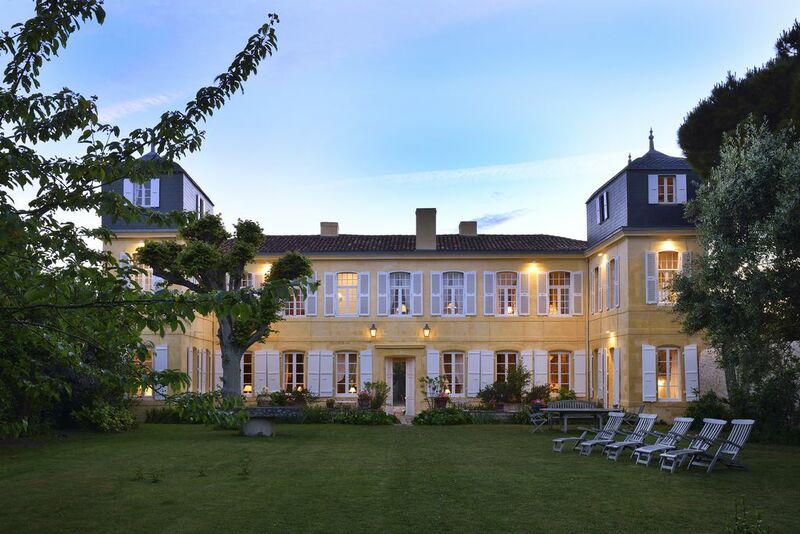 A step away from the harbour, a listed monument and a beautiful manor are linked to make one special hotel. La Baronnie, the “finest house on the island”, is over 300 years old. Jasmine scents the air in the delicious cobbled courtyard, and a wooden structure houses a massage room, a jacuzzi, a sauna and small pool. Inside, a stunningly beautiful sideboard is laden with breakfast goodies, from just-squeezed juices to an array of coffees, while an ornate iron staircase sweeps you up to big light bedrooms exuding country chic, finely tuned in gorgeous colours. Imagine pale rugs, thick curtains, elegant cushions, and antiques picked up in brocantes over the years. Some rooms overlook a courtyard and the quietest face the gardens, which are magnificent. Adorable Florence, the ever-attentive owner, knows her island well, its nature and history, its beaches, cycle paths, sand dunes and pines: she helped lead the rise in St Martin’s popularity. Perfect for a spoiling weekend – or more: the little town teems with chic shops, restaurants, bars and atmosphere. Private parking, €20 per day. Christmas, Bank Holidays, 26 November - 3 February, 6 March - 30 March. Extra bed/sofabed available €25-€55 per person per night. This is the nicest hotel I have ever stayed in - absolutely beautiful historic old house and walled garden, delightful staff, elegant rooms - well appointed but still with a feel of being in someone’s home rather than a hotel. Breakfast in the sunny courtyard with roses and hollyhocks all around and just a stones throw away from the stunning port of St Martin - it is idyllic. Spa with continious pool, jacuzzi and sauna within the hotel. Osteopath & beauty treatments available at the hotel. More than 110km of cycle paths on the island.